Gauge 28 stitches to 10 cm/4"
A Retro classic from the Danish Mayflower at a very retro price! To celebrate Mayflower's anniversary, the popular Cotton 8/4 Junior is back for a short while. The yarn comes in the original banderole and at the same old low price. 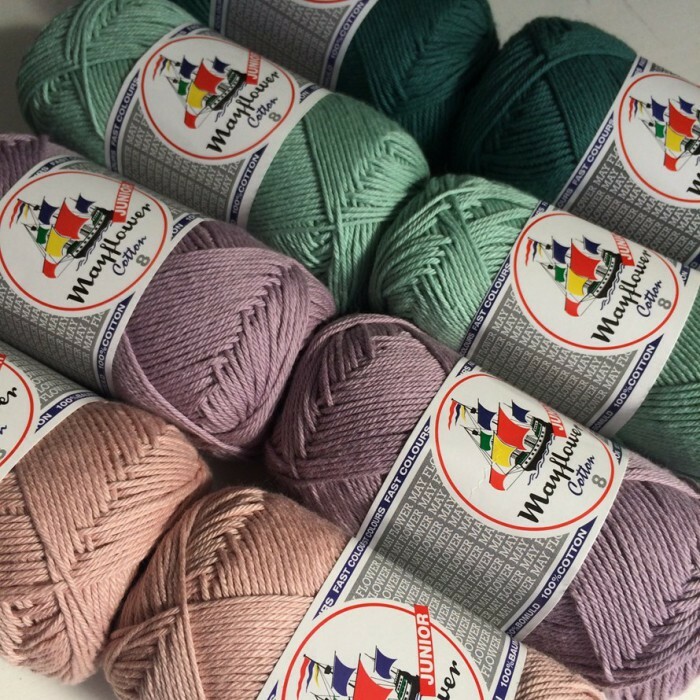 This means that as long as we have it in stock, this delicious cotton yarn is sold at only 10 DKK. Cotton 8/4 Junior is a nice, soft yarn in 100% cotton and can be used for both knitting and crocheting. We recommend the knitting needle size of 3.0-3.5 mm for knitting and 2.5-3.0 mm for crocheting with yarn. 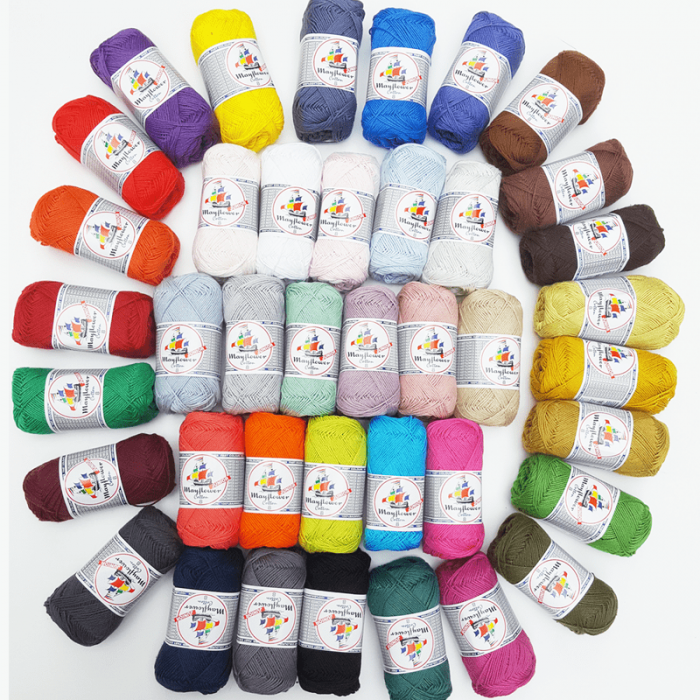 The yarn may be used for various clothes projects, interior, amigurumi, cloths, towels, children's clothes, etc. Indulge yourself in the 40 brilliantly lush colors of the Cotton 8/4. Enjoy! I make Octopus for Preemies and love working with this yarn. It is soft and easy to work with especially for a cotton yarn. This yarn can be washed at 60 deg which is an added bonus. The colour choices are fabulous . This yarn is a pure pleasure to work with!